A glorious Saturday afternoon, and Sears is virtually empty. Merchandise is all jumbled; aisles are blocked; it looks dispirited. After a spate of photo stories on the disarray at Sears, I wanted to look for myself. The sadder side of Sears, indeed. J.C. Penney (JCP) and Macy's (M) in the same mall in suburban Maryland were busier, neater and drawing younger customers. If you remember the slogan, "the softer side of Sears," then you're the typical Sears age demographic, and if you never heard it, you are the younger shopper it desires but can't attract. Sears Holdings' (SHLD) sales have declined for years as it loses customers to Kohl's (KSS) and J.C. Penney and younger customers throng to Macy's. Most mall anchor stores are struggling. A recent Piper Jaffray survey found that teens aren't hanging out at the mall anymore and prefer a social "experience," preferably at a restaurant. Sears and Sears Holdings' Kmart stores have been hit particularly hard. CEO Eddie Lampert noted on the most recent earnings call that shoppers only visit three stores per mall trip now, compared to five in 2007. A Sears "experience" lately has been fairly grim. More stores are closing, 300 in the last four years and a possible 500 going forward, including its Chicago flagship store this month. Why would anyone shop there? The fashion is fresher at Macy's, prices often better at Kohl's or Target (TGT), tools and appliances available at Home Depot (HD) or Lowe's (LOW). Even J.C. Penney is cleaner and fresher looking. 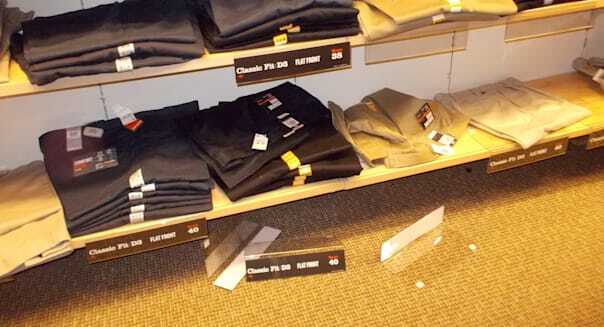 Photo-laden stories document disarray at Sears, Kmart and Walmart (WMT) stores. Last week on CNBC, Mark Cohen, former CEO of Sears Canada, gave a blistering indictment of Lampert's management for his lack of investment in the stores, calling them," outmoded ... dark, dirty and unattractive." While J.C. Penney spent millions refreshing itself, Sears did not. Barron's writer Michael Santoli thinks that was a good thing, since many Sears Holdings' properties will simply be shuttered. Instead, Sears Holdings is relying on several last-ditch strategies. It brought on the board Paul Podesta, of "Moneyball" fame, to manage its SearsYourWay Rewards membership program. Membership in the program has risen dramatically, with 72 percent of sales now coming from the program, up from 58 percent last year. The company plans to be more clicks than bricks, wooing consumers who embrace e-commerce giant Amazon (AMZN). That, too, is improving, with a 10 percent bump in e-commerce year over year. However, J.C. Penney's e-commerce arm grew more than twice that, 26 percent, in the same time frame. 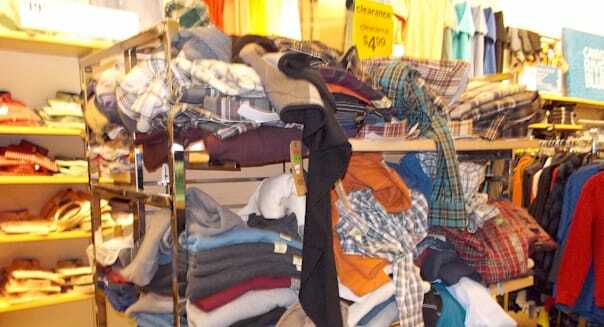 Whether Sears can keep the lights on depends on how long it can keep making money spinning off or selling entire divisions, like Lands' End (LE) most recently, but also Sears Hometown and Outlet Stores (SHOS) and Orchard Supply hardware stores. There has been serious talk of splitting off the auto care division. Also, Sears Holdings still has 241 million square feet of retail real estate it can sell or lease to stem the tide of losses, a $1.4 billion net loss in 2013 alone. But if you play Monopoly to the untimed bitter end (my family tradition) and sell off properties to stay in the game, you are going to lose. 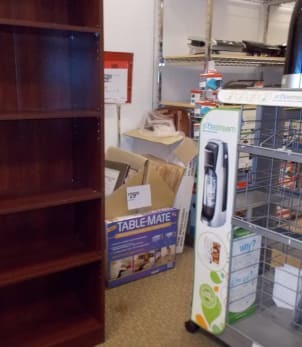 Cohen called these sales and the spinoffs, "the liquidation of a legacy store." Despite celebrity collections from the oh-so-overexposed Kardashians, Nicki Minaj, Sofia Vergara and People's Sexiest Man Alive Adam Levine, Sears Holdings still struggles to keep Sears and Kmart relevant. Its stock price decline is a silent witness to this inability, dropping from a high of $191.93 in 2007 to a low of $29.20 in 2012. %VIRTUAL-article-sponsoredlinks%What's left of the nation's family retailer? Remaining are the valuable proprietary Craftsman, Kenmore, DieHard brands, less valuable apparel store brands, the stores and the warranty service division with the 14,000 appliance service technicians who make 14 million service calls a year. Sears was your hometown retailer, where you shopped for back-to-school items, Easter outfits, tools and appliances. Now Home Depot and better department stores have eroded any competitive moat Sears once had. The famous Sears & Roebuck catalog was discontinued in 1993. Sears & Roebuck was the chain that broke the back of Montgomery Ward, but other chains are wounding it today. Hedge funds like Fairholme Capital and Baker Street Capital are investing in Sears Holdings mainly for the real estate sell-off potential. If Sears Holdings can manage to keep going long enough while losing billions a year, it is likely Sears will mainly exist on the Internet or as a membership model a la Costco. It is certainly what the company has been hinting at on recent earnings calls. A decade ago Lampert boasted Sears would have the breadth and reach to compete successfully against Walmart. That hubris cost shareholders millions and workers thousands of jobs. The venerable concept started in 1893 just can't compete as is. If Sears exists another decade, it won't be Sears as you know it.